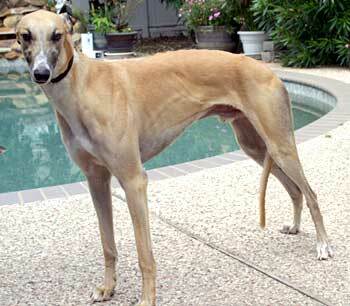 Banjo, aka Git on Rudy, is a handsome 3-year-old fawn male, born December 20, 2004. His sire is Nita's Jessie and his dam is EZ Dixie Redhead. Banjo is part of a litter of 8 that came into GALT's family – they are all named after Santa's reindeer – Dancer, Prancer, Donner, Blitzen, Comet, Cupid, Vixen, and of course, Rudolph – aka Rudy, now Banjo. He arrived with the group on Easter Sunday from the closing of Valley Race Park for the 2007 season. 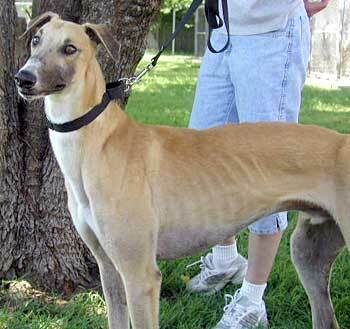 Banjo and several of his littermates have no races to their credit, and only a few raced as many as five times at VRP in 2007. Seems they are all destined for a much better life. When Banjo arrived, he was heartworm positive, but was successfully treated and is now heartworm negative! 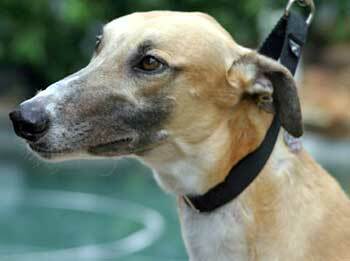 All of his medical procedures have been completed and he is ready to find his forever home! Banjo is small animal and cat tolerant. 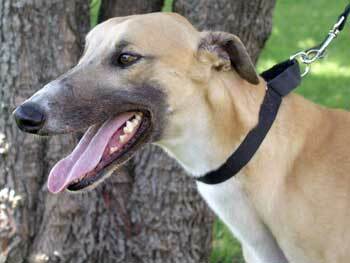 Banjo is a young, beautiful, friendly guy that loves to kiss and be around "his people" at all times. He bonds quickly to his "humans" and acclimated to our home quickly. He is very playful and active. He is over 80 pounds and wants to be a "lap dog." He doesn't realize how big and strong he is. He tends to "bump and jump." He is bright, so obedience training should help with his exuberance. There are four cats and a Yorkie in Banjo's foster home, and he is fine with all of them.